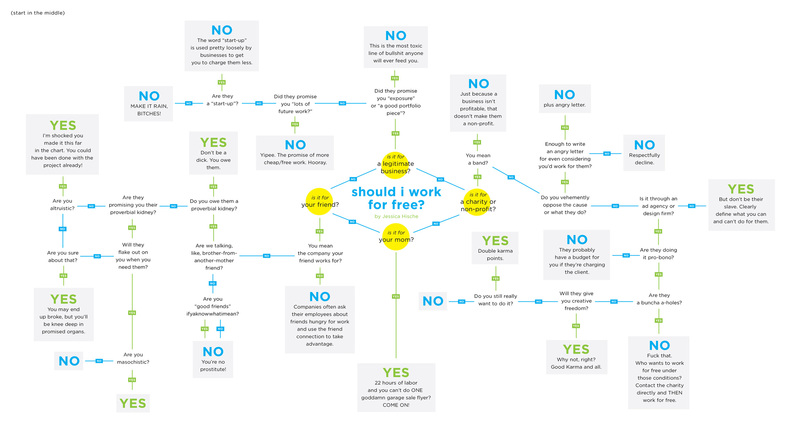 Spotted this "work for free" flow-chart from Jessica Hische and I think it's worthy of some lofty office wall space. Print it, frame it, hang it. This is the freelancer's/working-girl's guide!! Made me smile (and cringe, a little).